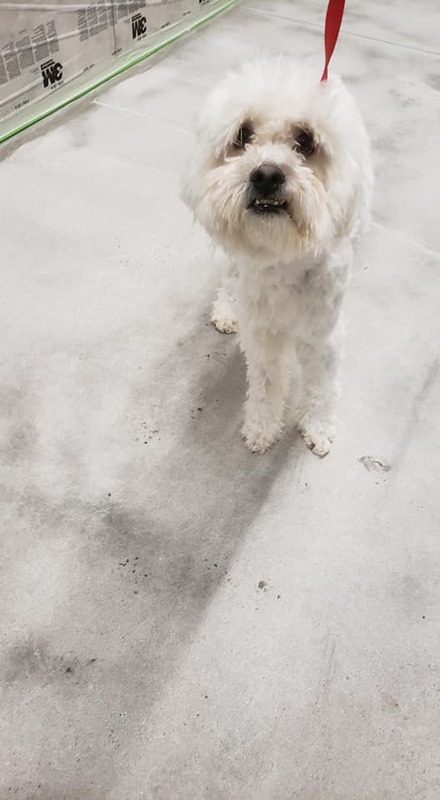 This middle aged male maltese/poodle mix is now ready for his forever home. He has a timid side and it appears there was some abuse in his past life-That is long gone now! He tends to shy away from hands, and as he warms up to you, he starts to protect you when it comes to other dogs so we feel he would thrive best as an only dog. He would love to be with you at all times, and he does sleep in a kennel at night time. He is a gentle man who warms up to kids and women first, takes more time with men. He is kennel and house broke-he loves to play-he does require a fenced in yard or when walking to walk with a leash as he tends to get scared and will run in fear. He is an excellent family companion and hopes you will consider adopting him.